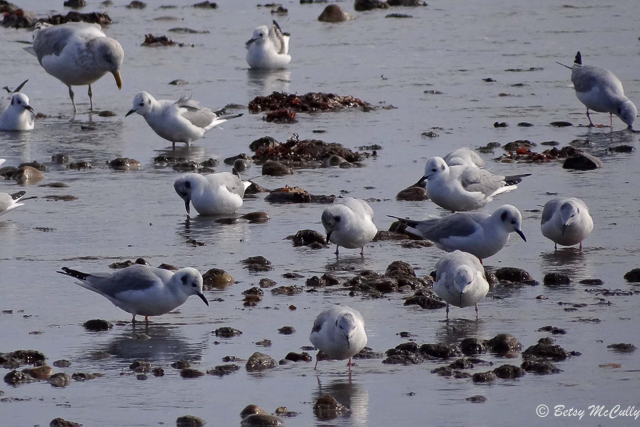 Bonaparte’s Gulls (Chroicocephalus philadelphia). Winter visitors. Feeding with Herring Gulls in tide pool, Montauk, Long Island.